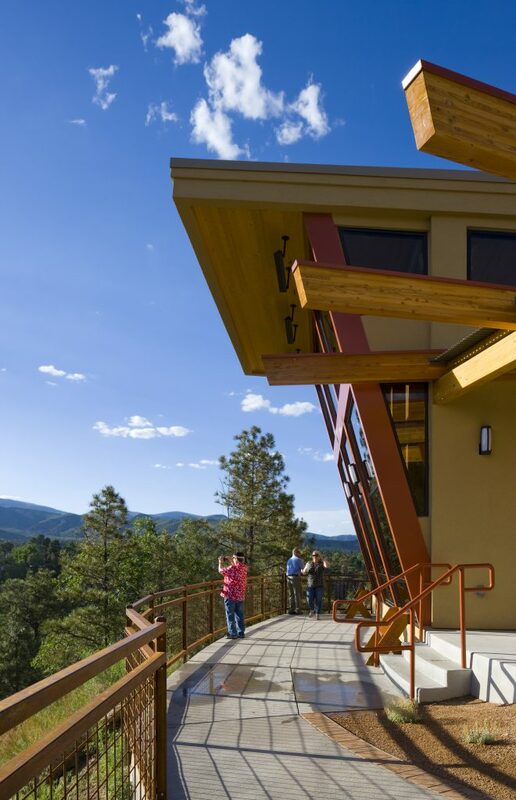 The Los Alamos County Nature Center sits exactly where it should, perched high above the Pueblo Canyon valley amid a beautiful evergreen landscape. 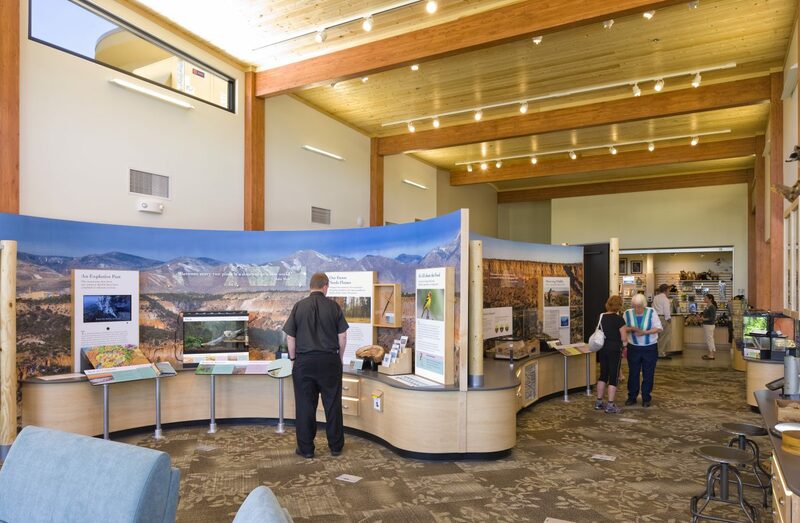 The center was built as near the canyon rim as possible and designed to take visitors through a sequence of experiences that bring them closer to nature. 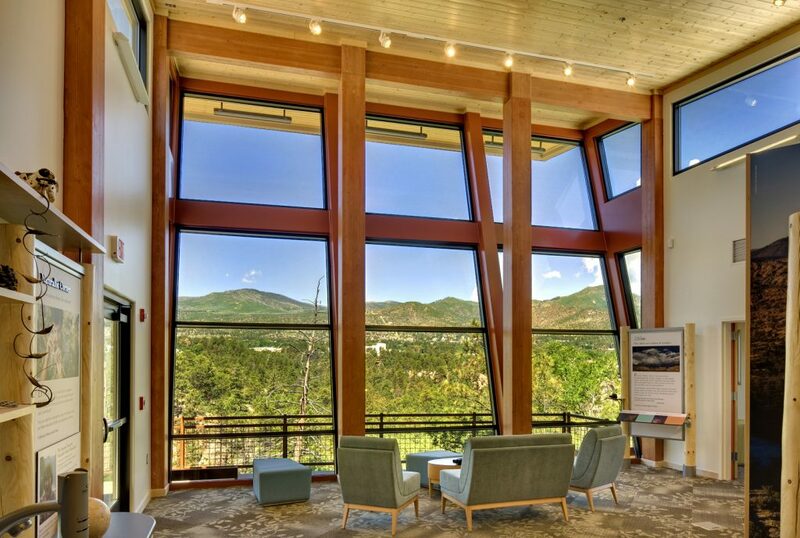 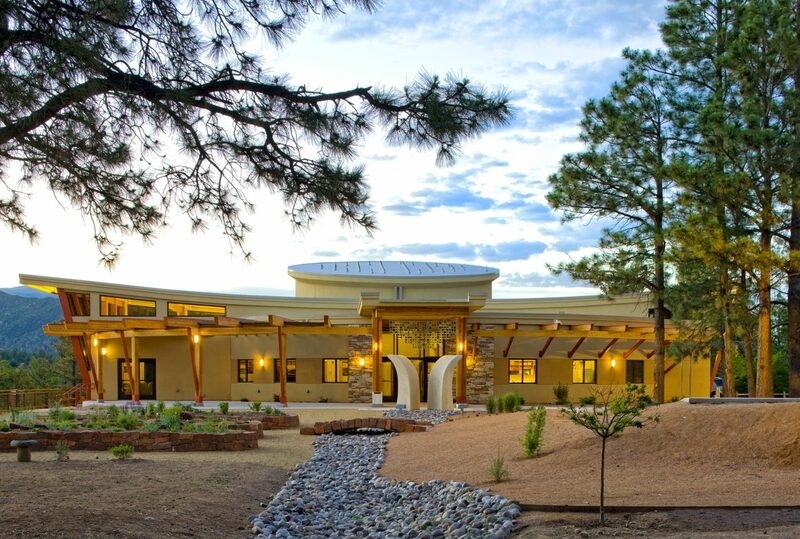 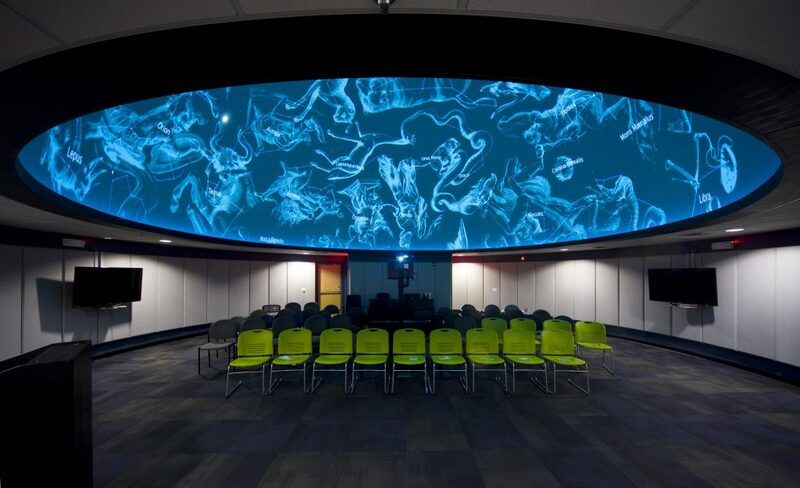 With an opening on Earth Day 2015, the 6,000-square-foot center is a hybrid of steel and wood construction, with large expanses of wood and glass, all to call to mind the wonders of nature from the stars above to New Mexico wildlife below. 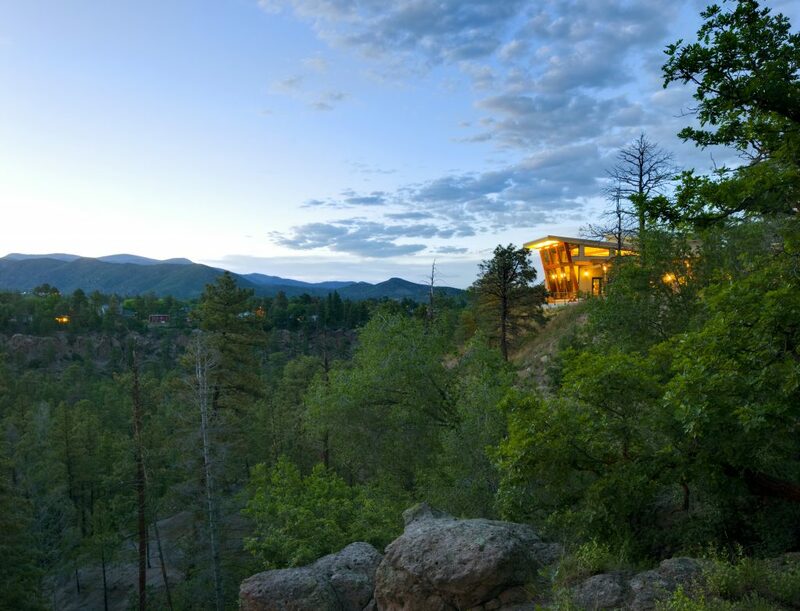 Among the project’s highlights are an exhibit area with an angled glass wall that looks down onto the canyon, an interior observation room that offers a garden view, an outside deck that stretches over the canyon edge, and a domed planetarium that reveals visions of the cosmos.